Whether intended for Carnaval, Halloween, or it’s a Tuesday and you’re bored, there are a few places around town where you can get a costume or a last-minute glue-on mustache. Of course, most of the lojas chînesas (Chinese shops) carry basic Santa suits at Christmas time and cheap cowboy hats year-round, but sometimes you need a high-quality top hat or a wig that won’t shed all over you or your loved one as soon as it’s out of the box. To be clear, if you’re in the market for some bedroom attire, you should check out Koisas d’Adultos shops or ask your friendly neighborhood stripper. The below costume shops are mostly for outdoor wear, though some of them might offer a side room full of less cutesy stuff. Happy hunting. Here you can find wigs, hats, headbands, and pretty much any accessory you can imagine, which is surprising considering the shop is not a large one. 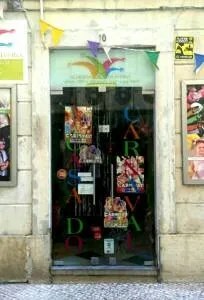 Since it’s in Baixa, it’s the easiest shop to get to for your face paint, crazy tights, party hats, masks, lanterns, you name it. This business has been around for 125 years, so obviously they know what they’re doing and they do it right. Their staff is knowledgable and can help you find what you need or recommend a decent substitute if they don’t have exactly what you’re searching for. Helpful hint: If you’re into more, how shall we say… alternative lifestyle toys, gifts, and costumes, check the back room. This large space is chock full of costumes ready to roll off the racks. Wigs, gloves, hats, masks, ready-made costumes, and even shoes (if you have small feet, that is) are available for purchase and there’s a place in the back where you can see if your look works. They frown on trying wigs on before you buy them, but ask nicely and they just might oblige. If you’re in the market for party favors or decorations, this place can help you get it done all in one go. You only have to brave the steep hill to get inside, but it’s worth the effort. Check out the virtual tour video below. This is a chain costume shop where you can find pre-packaged, ready-made storm trooper costumes, witch hats and brooms, and even the elusive banana costume – that’s right, the stuff dreams are made of. The one thing that they do carry that’s hard to find around Lisbon is glue for fake eyelashes. It might not seem like a big deal, but trust me, ladies, it is. Yes, this spot is outside of the city center, but it’s full of costumes and magic…yes, magic. Not only does this costume superstore have high-quality masks and costumes, as well as their cheaper versions, it also carries juggling clubs, magic tricks, and top hats (without the white rabbits). If there’s an upcoming party to decorate, this place has a huge selection of streamers, party favors, and more, so don’t count it out. They’ve got costumes of all shapes and sizes and ample room to show them off. 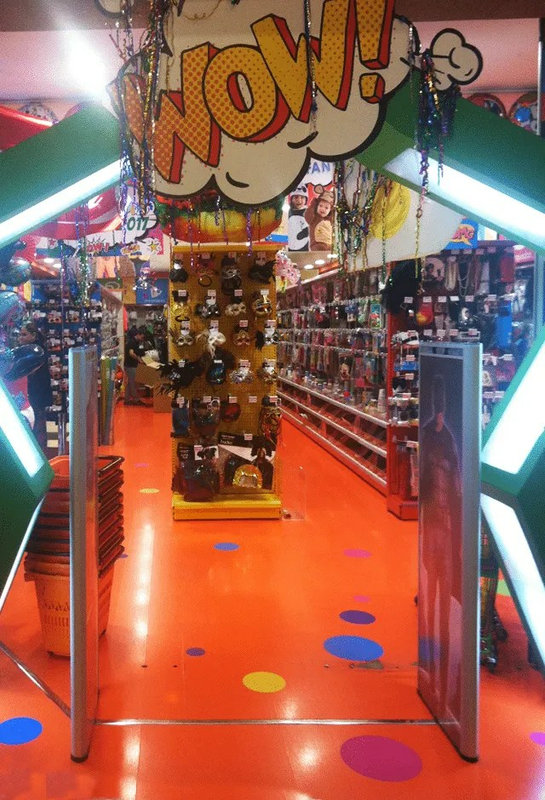 A storm trooper welcomes you through the door, past the balloon station, and into a world of colorful glasses, racks of hats and other accessories, and a very impressive wig section. Despite the size, the aisles can get packed around costume-centric holidays, but it’s open late, so chances are you’ll have it all to yourself an hour or two before closing. Behind the Tram 28 stop at the top east side of Martim Moniz, you’ll find a corner shop that sells pretty much anything you can imagine. From jade fountains featuring Buddha playing cards to board games and gifts for toddlers, this “import” store has everything you can imagine. During the months of Halloween and Carnaval (February and October) there’s a room to the left side dedicated almost exclusively to costumes. It might seem like a leap of faith to go inside, but admit it — you’ve always wanted to, right? 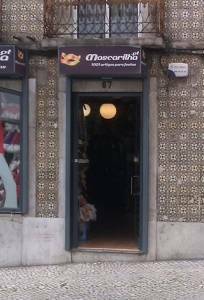 This online shop is located in Lisbon, so shipping times are short and pickup is available on request from their warehouse in Ajuda. They’ve got masks, wigs, costumes, and accessories, but the downside it you can’t touch it before you buy it. Such is the price of online shopping.